Once again, American Horror Story is going to make us painstakingly wait for details about the upcoming season. While we know Season 7 is going to have ~something to do with the 2016 election~ we’ve got nothing else to go off of. Right now, there are only two confirmed cast members, no solid theme, no setting or characters descriptions, nothing. Nadda. Zip. 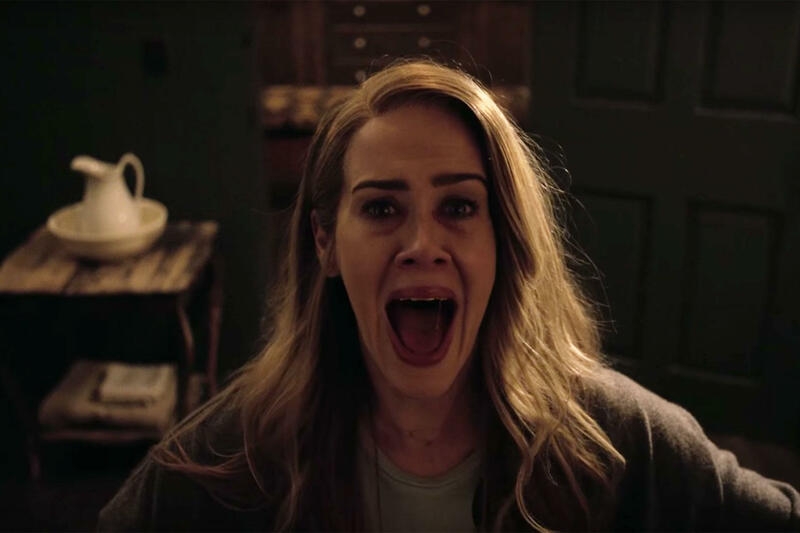 However, during the American Horror Story: Roanoke PaleyFest panel Sunday night, one of the show’s executive producers dropped a tiny little clue about the season: It all started out as a joke about Season 6. As you fondly remember, Season 6 of American Horror Story was a literal surprise. We all learned the theme at the same time, the night of the premiere, at 10pm (or if you’re me, 7pm PST). While we were kept in the dark, turns out not everyone was kept out of the loop. A few people knew the theme — or, they knew a fake theme (HEY, REMEMBER “THE MIST?” I DO!). But the secrecy went even deeper. This is both hilarious, and terrifying. It still doesn’t give us any indication of what the theme of Season 7 will be, but if it was funny enough to be a joke during Season 6, it must be good enough to be fully fleshed out into a full season. I hope.